Roof Trusses – K&K Industries Inc. Built for a large chicken barn, these are the longest fully-assembled trusses K&K has ever built with 116 feet span. We design and build custom roof trusses for both residential and commercial roof applications. This includes room-in-attic (RIA) trusses, scissors, trays, hips, truss headers and many other custom applications. We provide engineering and layout services. We can also verify field measurements and assist with design. Job site delivery is provided with roll-off trailers. 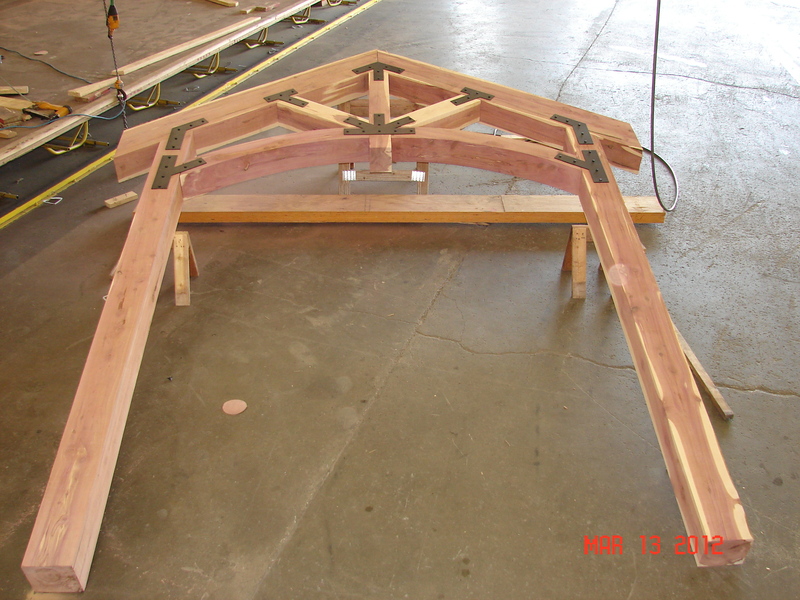 Cedar trusses are a specialty truss that we offer. 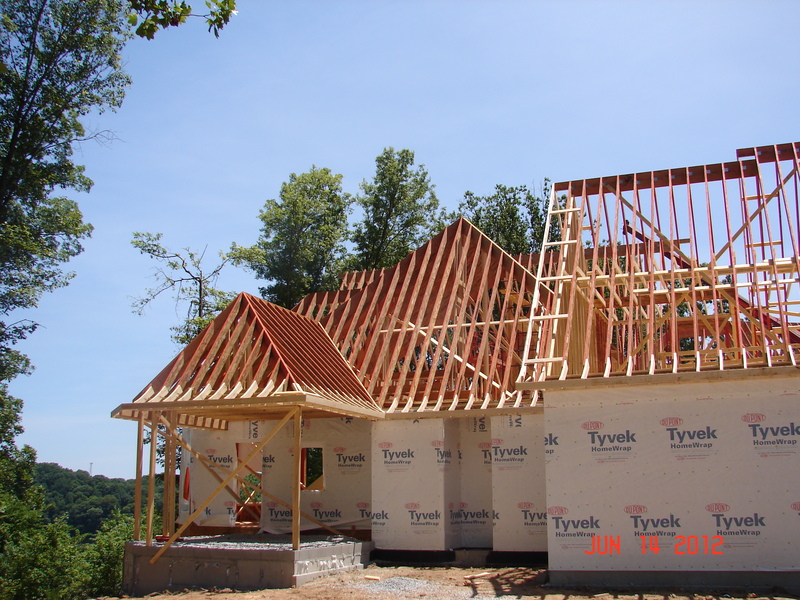 A more affordable alternative to cedar trusses is wrapped trusses using SmartSide wrap.